Picked your wardrobe colors for spring yet? Here is a color hue that Essie suggests to wear on nails this spring. Mix and match accordingly to your wardrobe and mood. Can believe spring is around the corner already! I could not decide which color I like more so this time i pick 2 favorites, "Madison Ave-Hue" and "Avenue Maintain". 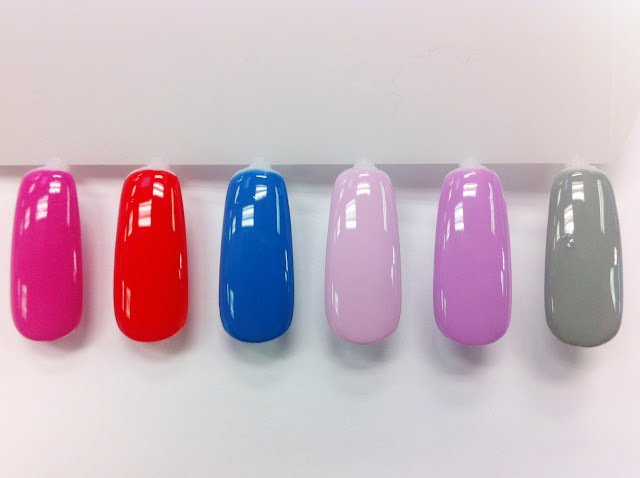 From Left to Right: Madison Ave-Hue 821, Hip Anema 826, Avenue Maintain 822, Go Ginza 825, Bonding with Whomever 823, Maximillian Strasse Her 824.